Poster Vector cannabis leaf silhouette. Marijuana. Framed Poster Caribbean -highly detailed map.Layers used. Poster The caribbean ocean, sandbars and islands. 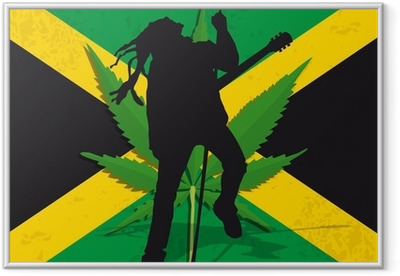 Poster National flag of Jamaica. Grungy effect.